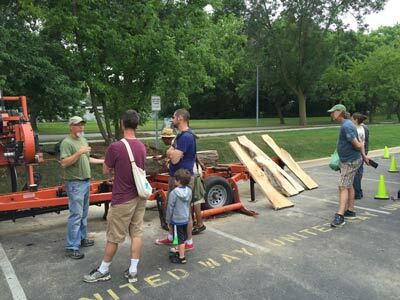 CityWood Treecycling's custom sawmill and kiln drying services are an excellent alternative when dealing with the vast amounts of urban timber waste created in the Madison, Dane county, Wisconsin metropolitan area. With over ten years of experience sawing and drying, we have gained the knowledge to help capture the greatest potential contained in every log. Products produced can range from cabinet grade lumber, to flooring and industrial timber. 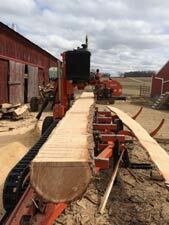 Sawmill services are available for both "treecycling" or custom milling of your logs. Have your logs cut how YOU want, quarter sawn, flat sawn or through and through. We can even leave the natural edge in place for free-form or rustic projects. 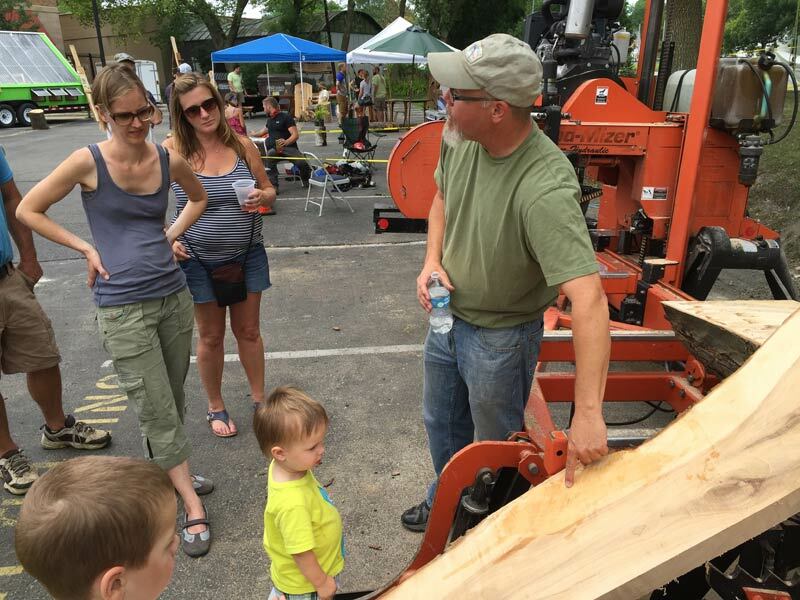 We also can process the whole log to be cut and numbered to insure perfect grain and color matching qualities for your projects. At Citywood Treecycling we provide dehumidification kiln services to further expand the possibilities of the lumber produced. Our dehumidification kiln uses a heat pump system to remove the water from lumber. One primary advantage of this type of system is that it recycles heat continuously instead of venting away heated air, as a conventional kiln does. 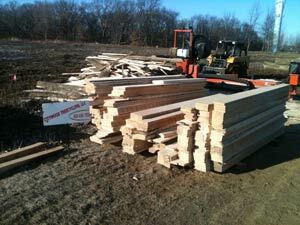 A much more efficient process in drying your reclaimed lumber. Over the last ten years, we are excited and proud to see the expanding list of unique, reclaimed, salvaged or repurposed woods that were produced by Citywood Treecycling, used for almost every imaginable project. 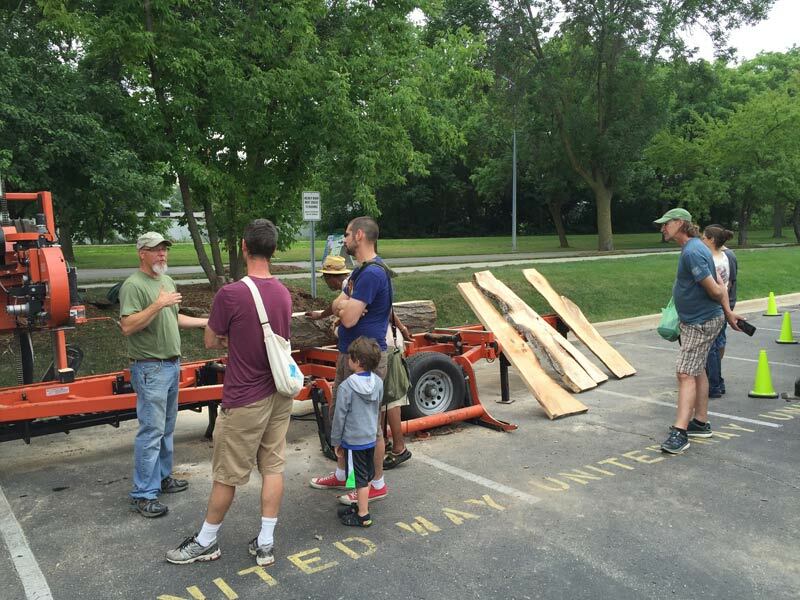 CityWood Treecycling demonstrate a business model that can be replicated in other communities by converting trees that would normally be discarded, and turning them into usable lumber. We want to help you make a difference by recycling and re-using timber products. The possibilities are endless... We can make it happen together! Our portable sawmill at work!